The QL820NWB offers two colour printing. Print in both black and red using DK22251 tapes - ideal for highlighting important information on a label. Create standout, cost-effective paper labels for packages, envelopes, file folders, name badges, food packaging and more. 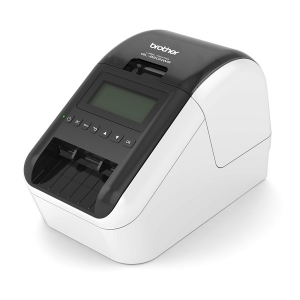 This top end model features a large graphic LCD display, which makes it easy to operate the printer and design personal labels. 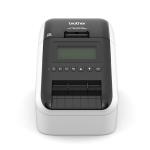 It offers an extended range of connectivity options, including Bluetooth and wired network connectivity in addition to Wi-Fi, AirPrint and USB connections. 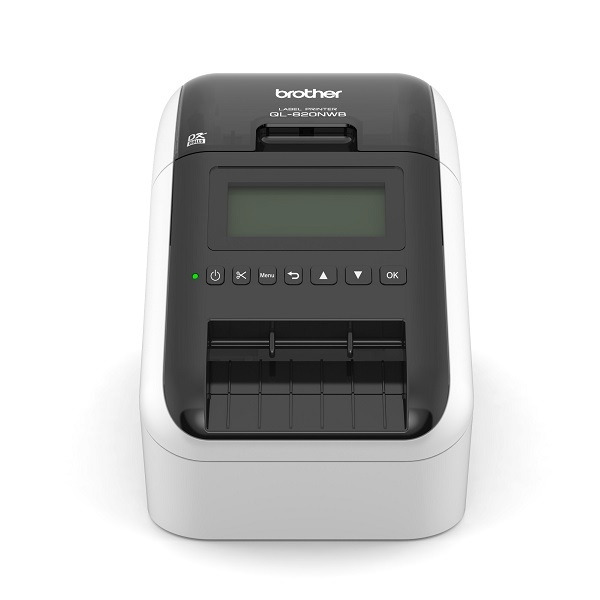 Moreover, the Brother QL820NWB can work without being connected to a PC. 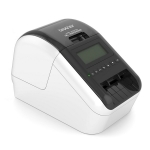 This label printer can also run on an optional Li-ion battery, making it extremely mobile for printing labels in warehouses, shops or large offices, meeting the increasing demand for businesses to be mobile and flexible. • Print Speed: Max. 176 mm / sec. or 110 standard address labels / min.